The intrinsically safe, auto-ranging power supply is designed to meet 320IS entity parameters and safely mount in hazardous areas. With this option, wiring is simplified to a single AC conduit line and seal from the safe area—barrier strips are no longer necessary. When required, an entity approved battery power supply is also available. Expand the flexibility of the 320IS with the optional safe area I/O module, featuring two serial ports, two analog outputs, four digital inputs and four relay contact outputs, allowing communication with printers, computers and other peripherals. Both models are equipped with a duplex fiber optic port for electricallyisolated communication with the I/O module. 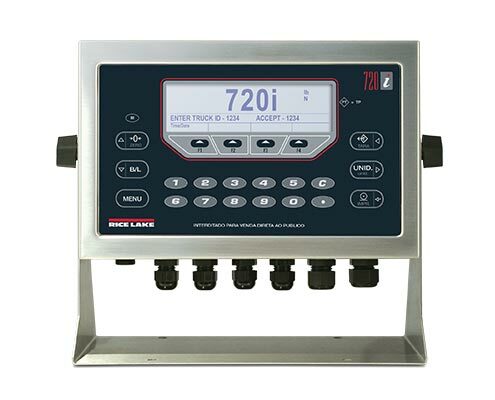 The 720i™ programmable weight indicator/controller is the first in a line of powerful and intelligent HMI devices from Rice Lake. 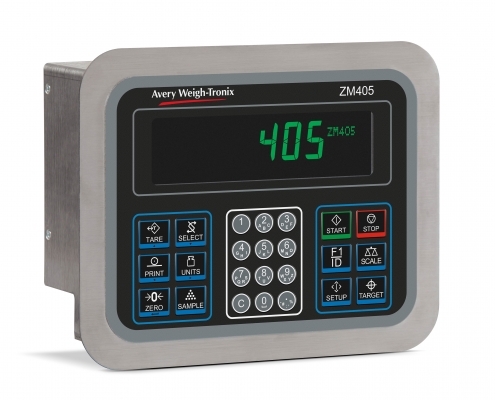 This weight indicator breaks away from our pack of basic models with its ability to control more processes, more equipment, and more information than ever before. 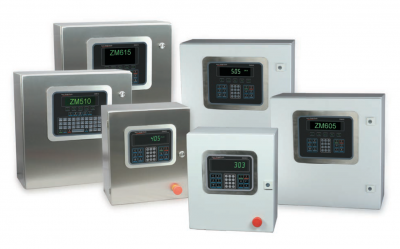 The attractive 720i programmable weight indicator/controller presents a complete operator keypad showcased in either universal or panel-mount enclosure styles. 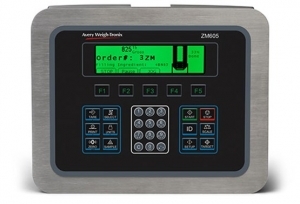 Programmable soft keys and operator prompts offer more control for busy industrial settings. 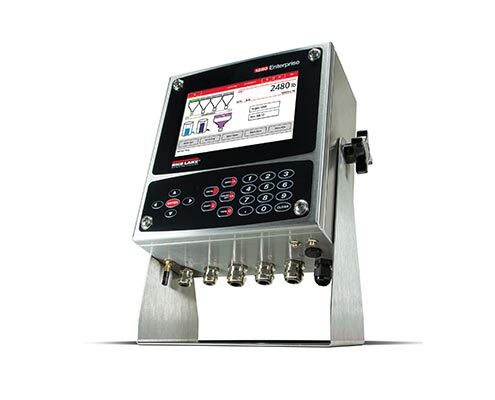 Programming is easier than ever using either the standard configurable batch engine or 720i’s exclusive ProAction™ software. Local remote capability allows multiple indicators to simultaneously display the same data. Truck scale operations, data collection, batching or networking—this multifaceted HMI can handle them all. 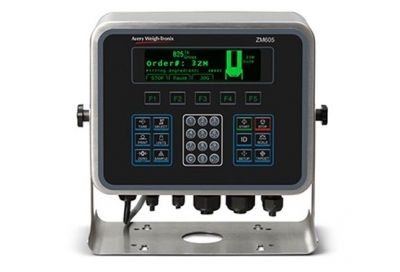 The 720i programmable weight indicator/controller comes standard with two full duplex serial ports, eight digital I/O, 20 auxilliary print formats and a complete set of popular features. Plus we’ve included one option slot to use with a selection of networking and option cards. Take your 720i to the next level and create a weight indicator as unique as your process. Filter through truck/ID storage and accumulator data and view reports based on specific criteria directly onscreen in no time at all with the 825 Spectrum’s speedy pair of 32-bit ColdFire® processors and 64 MB user memory. Sort by company name, truck number, fleet, ID, accumulator, time, date, oldest load or newest load. Reports may be viewed onscreen and/or printed, plus the truck storage database may be shared with a PC for creating, editing, sorting, and billing. Convenient tab settings with X-Y coordinates allow operators to set up tickets easily for any ASCII printer. Up to five lines of header and footer may be created for text, data, and control codes. Cardinal also offers VISUALIZER software for custom tickets. 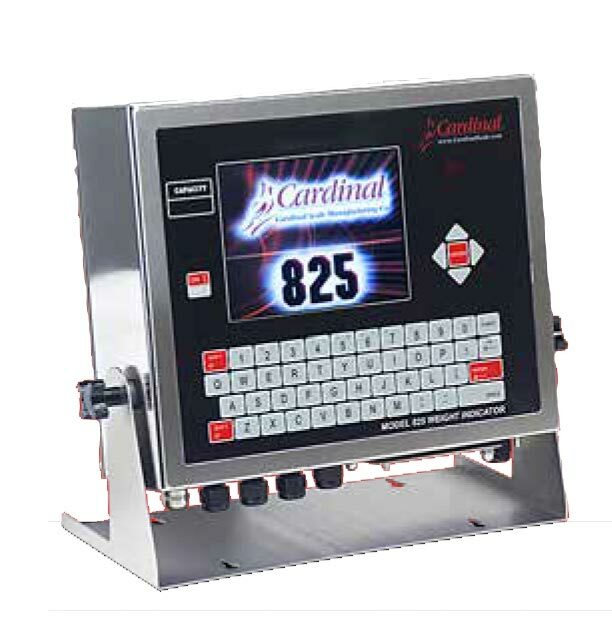 Instantly determine material inventory with the 825’s ability to view 10 scales onscreen simultaneously. The power of the Spectrum’s large 640 x 480 pixel color LCD becomes apparent when, in one scan of the eye, you can check on your entire tank farm’s stocking levels. 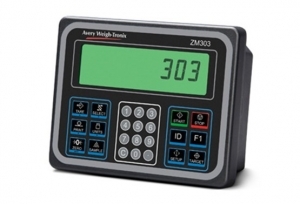 By touching a scale’s weight onscreen, the indicator brings up the individual scale’s information to set zone target values and ranges, zero weight, and apply tare weights. 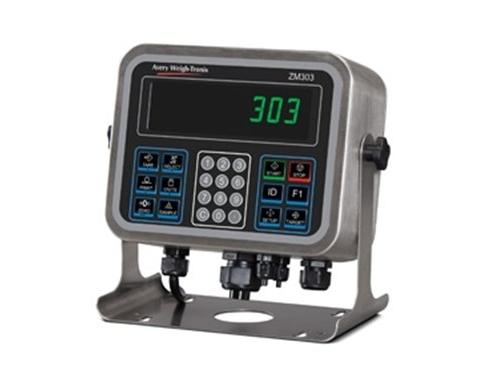 From tailored basic weighing to complex process automation, the 920i programmable weight indicator/controller gives you exactly what you need, exactly the way you want it. Up to ten different screens can be programmed to change with any given process, while graphic icons and messages show setpoint and function status. 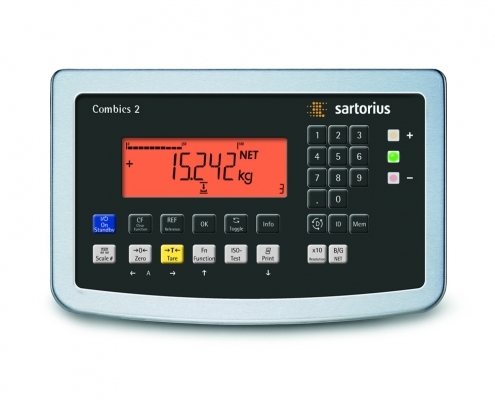 The multi-channel display feature shows the weight on an individual scale or a combination of totalized scales. 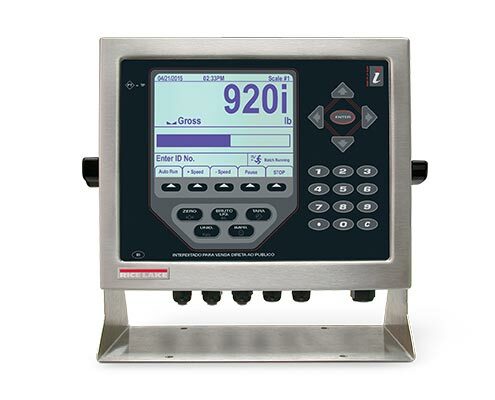 When used in batching/mixing applications, one 920i is capable of handling multiple scales, flow temperature and pulse. The 920i can control hundreds of I/O setpoints—queuing for such things as gates and conveyors. The 920i’s complete database capability stores your important data and files. 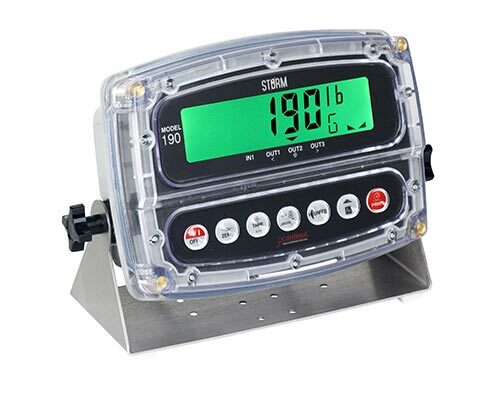 For more seamless communication with external devices, use the 920i programmable weight indicator/controller with USB. It shares the same hardware as the standard 920i, but replaces the PS/2 interface port with a USB interface. Connector types include Standard Type A for hosting, connecting keyboards, printers and memory devices, and Standard Type B for connecting as a device to PCs. Delivering more features, more programmability and more power for your process, the 920i HMI indicator/controller combines performance-driven circuitry, simplified architecture and customized display features to take your system further. 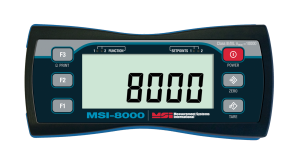 Fortified by the acclaimed reputation of its star precursor, MSI-8000HD is the heavy duty version of the reputable handheld MSI-8000 RF remote display. The milled anodized aluminum, IP68-rated, enclosure is mountable in either a direct panel mount or optional tilt stand. The full waterproof construction resists most elements making it especially appealing to the petro-chemical, energy, marine and aerospace industries. Fully compatible with all MSI ScaleCore-based crane scales and dynamometers, the MSI-8000HD provides utmost versatility for any application. 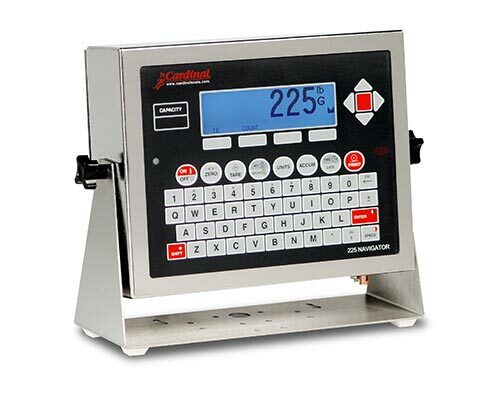 User-definable function keys and a bold six-digit one inch display ease usability and readability.Process control, safety and other systems benefit with optional relays installed to optimize workflow and operator ease. 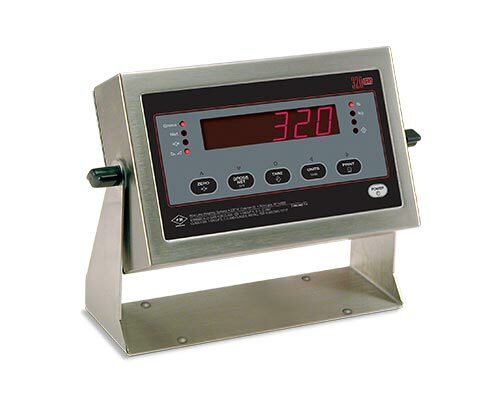 The MSI-8000HD meters may be used as a fully functional weigh meter with the standard inclusion of a precision 24-bit A/D. 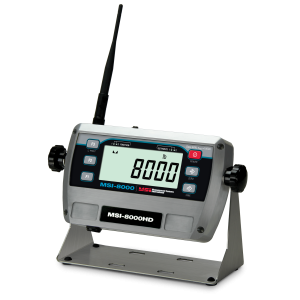 Additionally, the MSI-8000HD-2 has RF capability to transmit data to a secondary MSI-8000 or non-A/D MSI-8000HD. Wi-Fi, Ethernet or serial option cards are available for direct connections to networks and computers for advanced traceability and reporting. 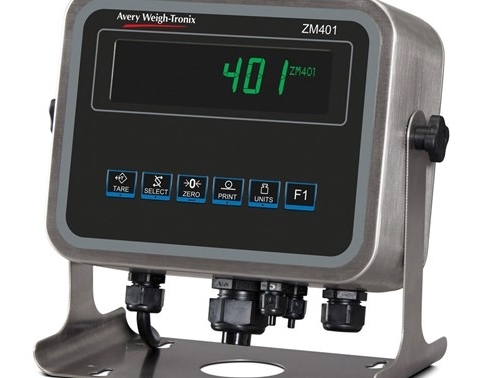 Designed for PLC systems that require seamless integration of weight data, the SCT-40 provides reliable signal-conditioning function without the cost or bulk of a full size weight indicator/controller. 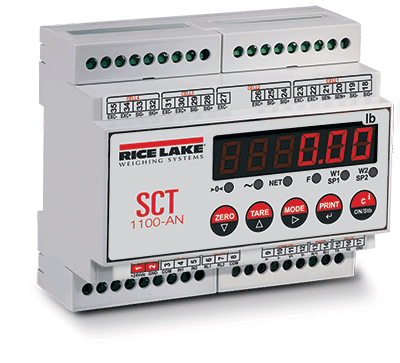 With eight independent load cell channels, the SCT-40 delivers more power and more control in a compact design. 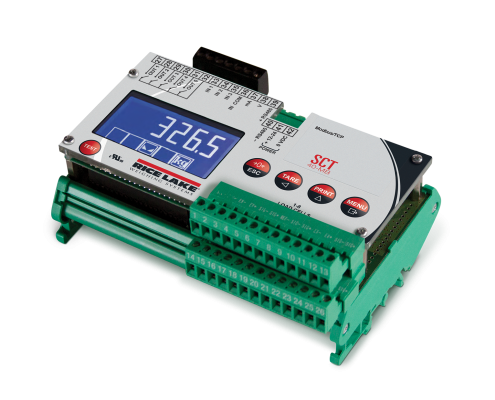 The versatile SCT-40 is DIN-rail mountable within a cabinet or control panel, where it converts a scale’s load cell signal to analog output, serial output or a fieldbus protocol. 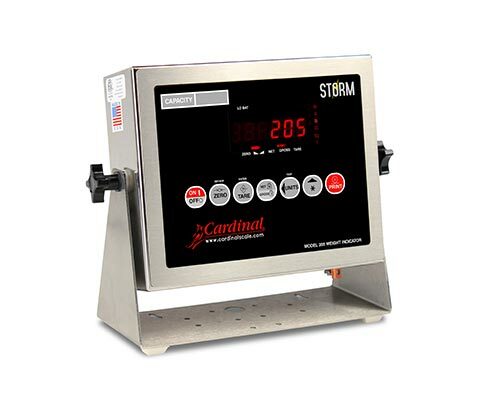 Providing more interface surface than its predecessors, the SCT-40 is more technician-friendly and easier to use, which simplifies scale setup, calibration and operation. 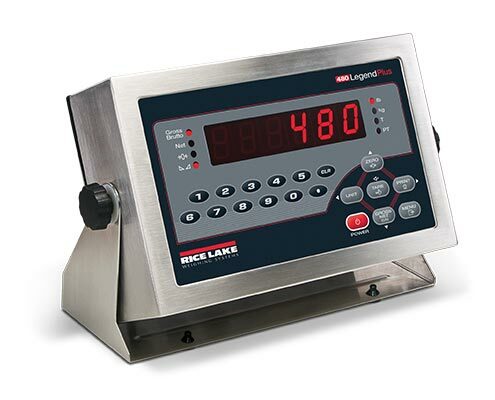 The ideal solution for PLC systems which require weight data from a scale, Rice Lake’s SCT signal transmitters offer maximum control without the additional cost or space required of a traditional weight indicator. These multi-function transmitters have a compact design while presenting the same signal-conditioning functions. 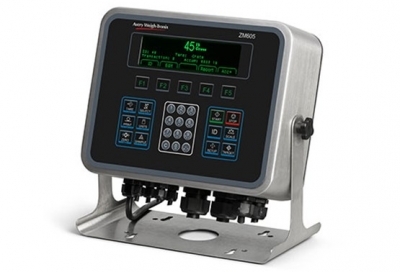 Utilized as an independent or dependent four-channel digital junction box, the SCT-1100 allows for the direct reading and diagnosis of each individual connected load cell or summed as a whole. Combics provides support in all areas of your process chain, from manual formulations up to PC controlled production checks. The modular system allows tailor-made configuration of the individual components for each area. We also produce individual complete solutions according to your specific applications. 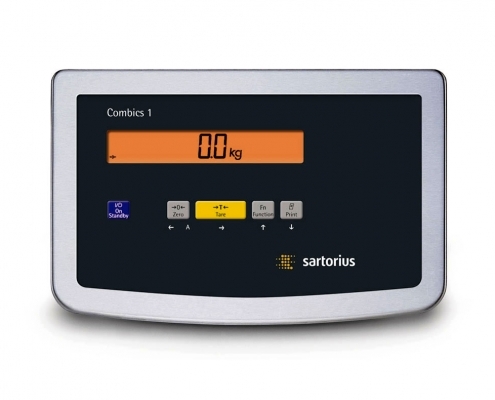 Based on the specific requirements of various industries and the basic legal conditions, Sartorius has developed intelligent solutions for all weighing applications, from incoming goods through to production on a large technical scale. indoor / outdoor applications. Indicators and option kits sold separately.